Kolja Kugler is an artist and a sculptor, and he said it was his interest in finding ways to make his objects more expressive that led him to start building robots. The result of this journey is the One Love Machine Band, a collection of three large metal robots accompanied by several smaller whistling bird robots. The One Love Machine Band are a scrappy crew. They have an affinity for punk rock, and members of the band play the bass, drums and flute. Oh, and they're all robots. 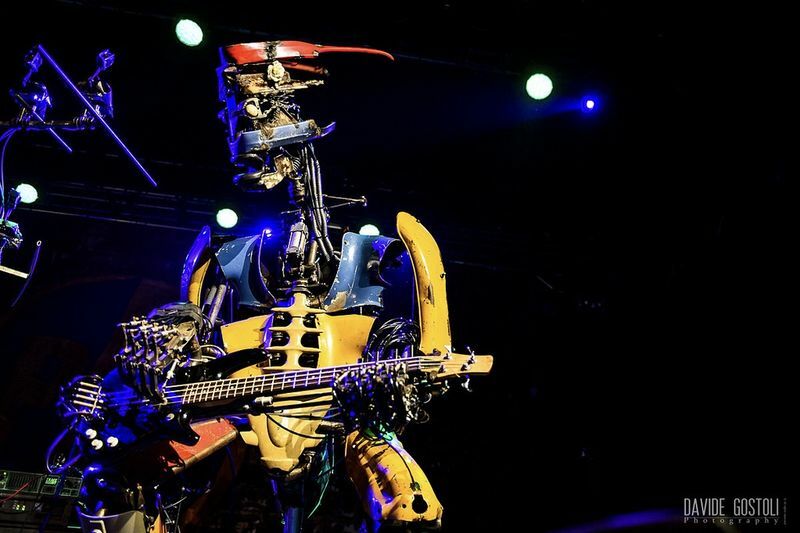 The band is made up of scrap metal animatronics, created from salvaged junk from scrapyards around Berlin. For the creator of the band, it's all about giving new life to discarded objects. The One Love Machine Band is an autonomous robot band that seems to be focused on the physical appearance of the robots, rather than the quality of the music. The band sports a very practical theme, which has worked in their favour. His pneumatic robotic band is a smashed together explosion of steampunk-like mechanics and musical instruments. The martial-looking machines are operated with pneumatic parts, says Kolja Kugler: "Air, electricity and scrap", and the "One Love" name is a reference to the Bob Marley sign. Kugler plans to keep building more "band members" using the money he earns from tours and paid performances. Here's a glimpse of what the One Love Machine Band looks like.